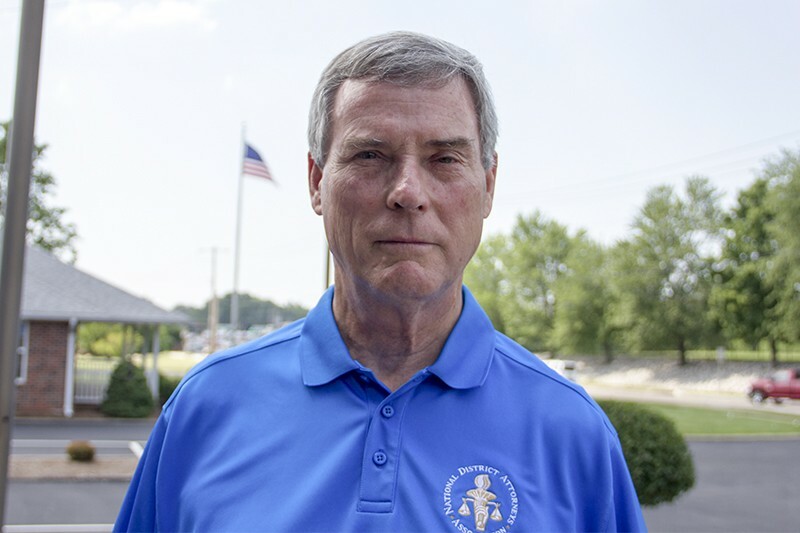 On August 7, St. Louis County voters will decide whether incumbent Prosecuting Attorney Bob McCulloch will keep the job he's held for the past 27 years. 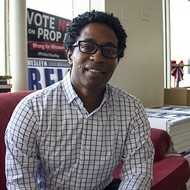 Opposing him on Democratic primary ballots is Ferguson city councilman and attorney Wesley Bell — but off the ballot, the most muscular opposition to McCulloch has arguably come from the ACLU. Last week, the civil rights group unveiled a searchable and interactive website that draws on five years of data from the St. Louis County Jail, covering 2012 to 2017. The data, the group says, reveals the impact of cash bail and pre-trial detention in tens of thousands of cases — including ones where individuals were charged with lower-level, misdemeanor crimes. The issue of cash bail is central to the ACLU national campaign, #PickYourPA, which encourages voters to view elections for local prosecutors as a referendum on cash bail. Critics (within the ACLU and numerous other organizations) say policies that require criminal defendants to either pay bail or stay in jail before being found guilty of a crime essentially put a price tag on freedom, tilting the justice system in favor of the rich. But while advocates have made such claims through writing and protesting the streets, the data is something new: A chance to delve into the patterns and practices in a given location with actual numbers. That data is arranged within an interactive website, where users can click through graphs and change variables at will. The stats present a sweeping picture of St. Louis County's jail, where thousands of people have waited weeks, or even months, while their cases move toward trial or dismissal. The data was obtained through a Sunshine request by the national group Justice Collaborative. It includes jail stays for felonies, misdemeanors and citations. A graph showing the number of people charged with misdemenors confined to jail pre-trial in 2017. The numbers show that while the majority of people facing charges never spend a day in jail, thousands of people awaiting trial for misdemeanors over the previous five years have in fact spent time behind bars. It's those cases the ACLU highlights in its press release touting the release of the data. The press release notes that, in 2017 alone, 419 people faced cash bail for misdemeanors, while a total of 899 people charged with a misdemeanor were jailed one to five days. 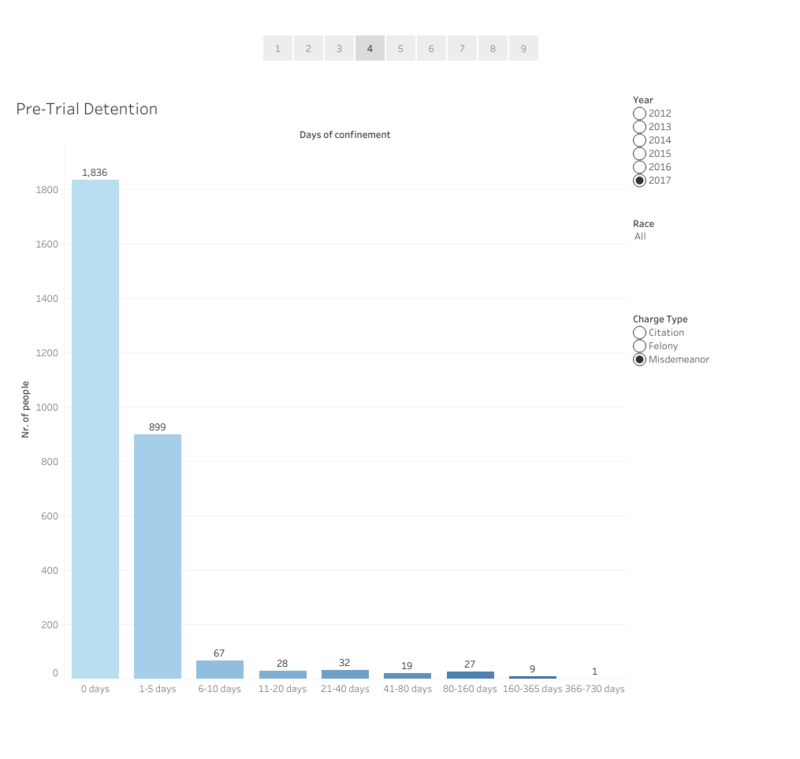 The release also points out that, from 2012 to 2017, 5,536 people faced pre-trial detention of one to five days for a misdemeanor, and 683 people facing a misdemeanor charge spent more than 20 days in jail prior to trial. What's notable about these numbers is that they appear to contradict recent statements from McCulloch, who has pushed back on the ACLU's actions in this year's election season. During an interview with Riverfront Times earlier this month, McCulloch complained that various national groups are asking local candidates for prosecutor to commit to abolishing cash-bail on misdemeanors — a goal that he contends is essentially meaningless in St. Louis County, because it is already the case. "There's nobody in St. Louis County in jail being held on a misdemeanor because they can’t make bond," he said in the July 13 interview. "Because there is no bond. Those things just don’t exist." McCulloch made a similar statement last week on St. Louis Public Radio's Political Speaking podcast, saying, "We don't seek warrants or cash bail, or any kind of bail, on misdemeanors, and haven't for decades." It's virtually same claim he included in his formal response to an ACLU questionnaire, writing, "Misdemeanor and low-level felonies, including most drug charges, are issued on a summons and no bail/bond, cash or otherwise is required. This has been my policy for many years." The data, however, suggests this policy isn't so clear-cut as McCulloch indicates. Or, as Justice Collaborative senior legal counsel Jennifer Soble puts it, "It's just not true." 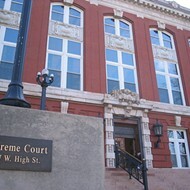 It was Soble and Justice Collaborative who obtained the booking records from the St. Louis County Jail. She tells RFT that the numbers and her direct experience in the county's courtrooms paint a much different picture than McCulloch's statements. When it comes to people in St. Louis County charged with misdemeanors, "hundreds of people are sitting in jail, today" she says, adding that jail data shows that about 85 percent of those given a bond are released after spending an average of 39 days. "What happens during those intervening 39 days is they figure out if this person can scrape together the cash to get released. After 39 days, everyone agrees they’re not going to pull it together financially – and then they get out." She adds, "All of those people were literally sitting in jail for 39 days because they didn’t have money." Soble also emphasizes that while technically a judge sets the bond amount, the prosecutor is no bystander. McCulloch's office and his assistant prosecutors exert significant influence, she says. "Bond is set by a judge in an open hearing, one that the prosecutor participates in," she says. "I’ve watched numerous hearings. The prosecutors have input on who gets held and who gets released, just like the prosecutor has input on any decision the judge makes." It's not just Soble expressing doubt about McCulloch's statements. A defense attorney who works exclusively in St. Louis County and asked not to be named for fear of retaliation tells the RFT that McCulloch's supposed policy is nothing more than words. "I would say that is more than a bald-faced lie," the attorney says. "The fact that he has the audacity to say that is really disturbing to me and indicative to me how much he doesn't understand what's going on in the office that he oversees." The attorney provided a list of eighteen cases, all non-violent felonies, where warrants were issued with demands for cash bond. 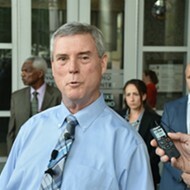 Stephen Reynolds, who heads the county's public defender office, has his own misgivings about McCulloch's protestations. While Reynolds affirms that the prosecutor's office typically does request a summons for low-level drug felonies — meaning, that a suspect is simply notified of a court date as opposed to locked up in jail — that summons frequently misses its target. The result? Jail. 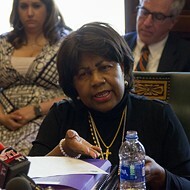 "It is true that summons are issued on low-level drug cases," Reynolds says. "But it's also true that the delay is so long, six to twelve months, and the summons notice is sent out in the mail and a person may have moved. They don't show up to court, the warrant goes out and there's a cash bond anyway. That is definitely a consistent phenomenon." Absent some special circumstance, we request that the Court issue a summons on misdemeanors and lower class felonies-C, D, E, which includes most drug cases. The process is as follows, the Court issues a summons-an order from the Court to appear and answer the charge. It includes the charge and a date for the defendant to appear in court. The is no arrest warrant and no bond need be posted.. If the defendant Fails to appear on the date ordered by the court, the court may issue a second order or issue an arrest warrant and set the bond. That is totally within the discretion of the Judge and the prosecutor is usually not consulted at that stage. In his email to RFT, McCulloch did not directly address the ACLU's release of jail data, noting that he believes the numbers "are misleading at best and intentionally distorted at worst. 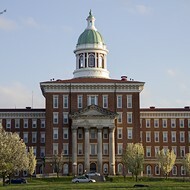 Clearly accuracy and candor are no longer deemed important by the ACLU." It is worth noting here that while the ACLU has not formally endorsed any candidate, according to campaign records, its Missouri chapter spent $50,000 in June on polling and message-testing against McCulloch. And a 60-second radio ad released last week leaves no room for doubt about the ACLU's stance in the election. "Make no mistake, we have two justice systems: one for the rich, one for the poor," the ad begins. It goes on to allege that McCulloch "refuses to reform this unjust, unfair cash bail system," and that voters in the August 7 primary should demand the end to that system. 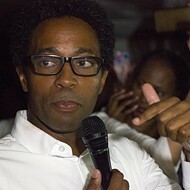 "McCulloch's challenger Wesley Bell has made this commitment," the ad concludes, "So why hasn't Bob McCulloch?"